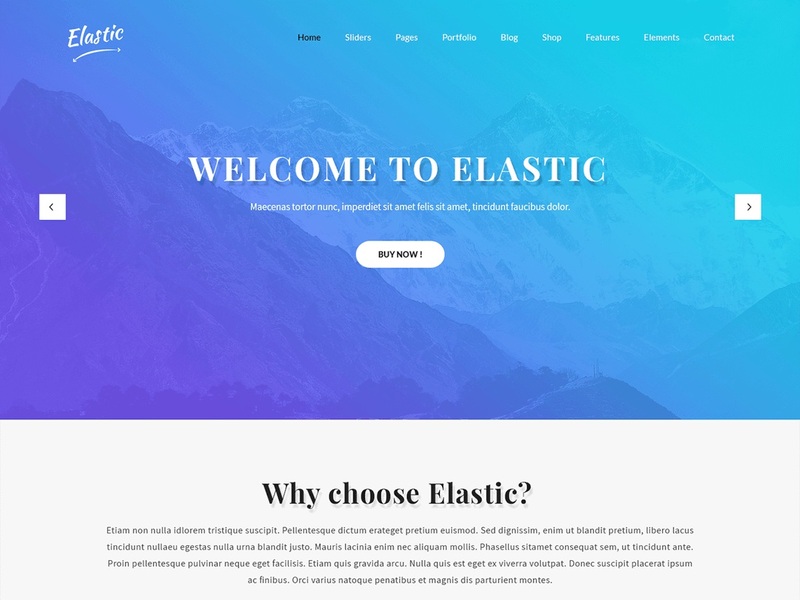 SKT Elastic is a multipurpose WordPress theme which is lightweight, flexible, scalable, simple to handle and comes with inbuilt page builder which has around 30 predefined blocks for easy to use multimedia blocks for pages. It is very modern, intuitive and can be used for any type of industry like cafe, restaurant, business, corporate, coaching, adventure, tours and travels, resort, hotel, spa, fitness, gym, yoga, IT company, software, digital, online business, large and small as well as medium enterprises, agency as well. It is responsive, RTL compliant and works with popular multilingual plugins as well. It is shortcodes friendly, Gutenberg editor friendly and calls to action friendly with a contact form, gallery, slider plugins tested and compliant with WooCommerce for shop and eCommerce. Easy to use theme comes with step by step documentation and backed with quick and friendly support.